Gideon Rosen’s [1990 Modal fictionalism. Mind, 99, 327–354] Modal Fictionalist aims to secure the benefits of realism about possible-worlds, whilst avoiding commitment to the existence of any world other than our own. Rosen [1993 A problem for fictionalism about possible worlds. Analysis, 53, 71–81] and Stuart Brock [1993 Modal fictionalism: A response to Rosen. Mind, 102, 147–150] both argue that fictionalism is self-defeating since the fictionalist is tacitly committed to the existence of a plurality of worlds. In this paper, I develop a new strategy for the fictionalist to pursue in response to the Brock–Rosen objection. I begin by arguing that modal fictionalism is best understood as a paraphrase strategy that concerns the propositions that are expressed, in a given context, by modal sentences. I go on to argue that what is interesting about paraphrastic fictionalism is that it allows the fictionalist to accept that the sentence ‘there is a plurality of worlds’ is true without thereby committing her to the existence of a plurality of worlds. I then argue that the paraphrastic fictionalist can appeal to a form of semantic contextualism in order to communicate her status as an anti-realist. Finally, I generalise my conception of fictionalism and argue that Daniel Nolan and John O’Leary-Hawthorne [1996 Reflexive fictionalisms. Analysis, 56, 26–32] are wrong to suggest that the Brock-Rosen objection reveals a structural flaw with all species of fictionalism. I thank John Divers, Dominic Gregory, David Liggins and Joseph Morrison for helpful comments on earlier drafts of this material. An earlier version of this paper was presented at the Arche Conference on the Metaphysics and Epistemology of Modality (St. Andrews, June 2006) and I thank my audience on that occasion, especially Kit Fine and Daniel Nolan, for their valuable comments and suggestions. Finally, I gratefully acknowledge the support of the AHRC, who provided me with PhD funding during the time in which this paper was written. Liggins, D. (2007). Modal fictionalism and possible-worlds discourse. 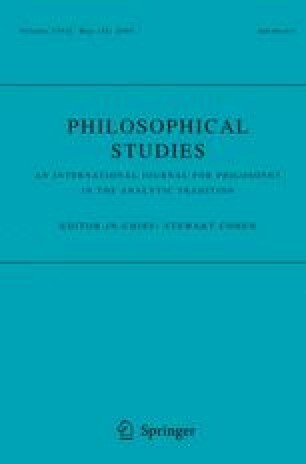 Philosophical Studies, doi: 10.1007./s11098-006-9001-z.